Dutch pull out tables are known for self storing leaves that work on a series of tapered wooden slides. 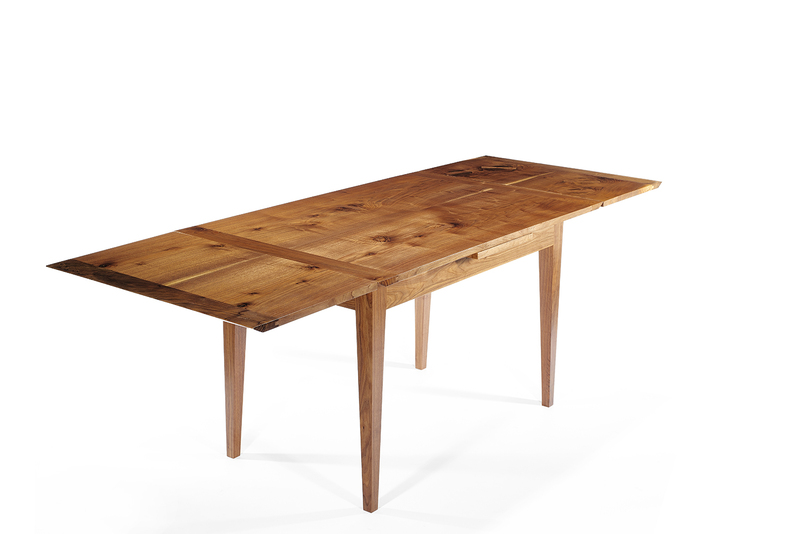 This table features a bookmatched pair of urban black walnut boards (locally sourced), hand-cut mortise and tenon breadboard ends, and butterfly Dutchman inlays. 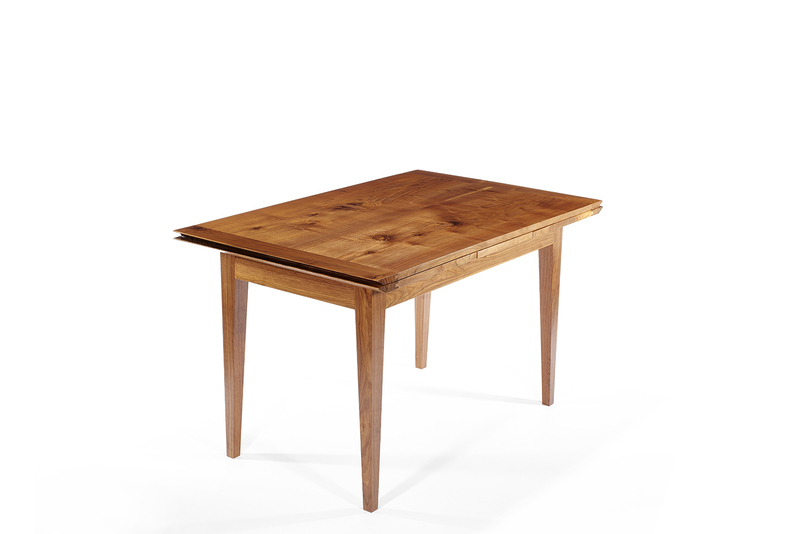 Traditional and Danish modern influences. Finished in satin lacquer. Customizable for any size and specie of wood. 32" x 50-88" x 30"